These 4 elements: EARTH, AIR, FIRE & WATER are believed to be essential to life. 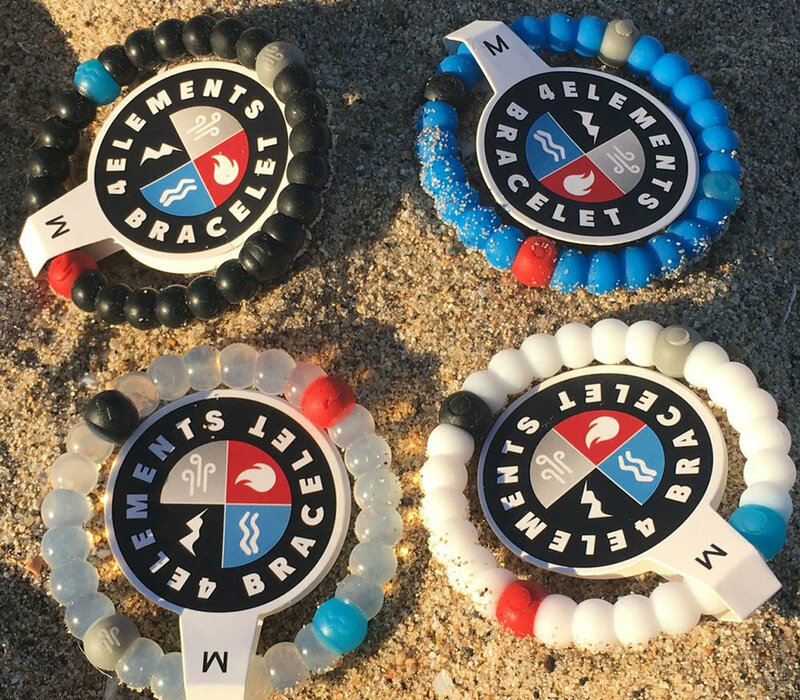 Each 4 Elements Bracelet contains: Earth in the black bead, Lava Rock in the red bead, Water in the blue bead and Air in the grey bead. 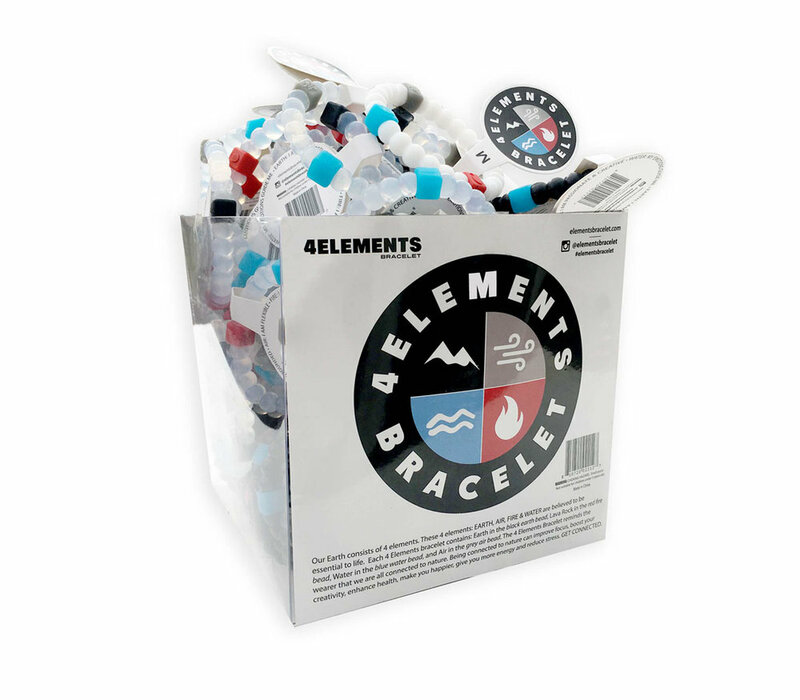 The 4 Elements Bracelet reminds the wearer that we are all connected to nature. Being connected nature can improve focus, boost your creativity, enhance health, make you happier, give you more energy and reduce stress. GET CONNECTED. EARTH: I am grounded - In many cultures, Earth relates to the body. If you do not look after yourself and are unfit or unhealthy, it becomes more difficult to build other energies created from the other three elements. Ordeals of Earth relate to the physical world, worries that are holding you back, tasks and events that are weighing you down or obstructing your path. People that are preventing you from achieving your goal. But these types of ordeals are purely tests to determine whether you can move to the next level of consciousness. They test your perseverance and ability to overcome hurdles. WATER: My emotions ground me - Water is fluid and adaptable and dictates your ability to manage any given situation. This is often referred to as going with the flow. In ancient China, the element of water was said too be the Chi energy that flows through your body and is helped through exercises such as Tai Chi and Yoga. To work with water, learn to understand how water works as it takes on many different mutations. It can flow gently down a stream, or tumble in a rage along a river. The sea rolls gently against the shore, or crashes against the rocks. Here we see the yin yang expression of duality in the nature of water - everything that exists has a polar opposite. Sometimes you have to be forceful, other times gentle. Water is also adaptable. When you put it in a vessel such as a jug or a bottle, the water changes shape and fits perfectly to the form of the vessel. FIRE: I am passionate & creative - The element of fire most relates to our temperament and influences fiery emotions such as anger and passion. Fire is the fuel that powers your energy to give you drive, courage and ambition. Arguably the most dangerous of the elements, fire governs your impulses and if allowed to get out of control is devastatingly ruinous. But fire also gives you the willpower to achieve your goals so should not be stamped out too sudden. Learn to work with fire-based emotions and you can use it to develop inner-strength. AIR: I am flexible - We need air to breathe and without it we would not exit. It is the element that influences your mind and has the quality of movement, something that is not fixed and solid, but flexible and constantly moving. Ordeals of air are dealt with through intellect. Whatever intellectual obstacles you encounter, try to think of positive outcomes rather than fear the worst. Your thoughts create reality. The best way to work with air is through breathing. This is achieved with maximum potential through meditation, or some form of physical exercise.